Group photo below, friend Karel, (demos) Sally, Me, Lavon and Christy! This is my newest recruit, Sally Stamper, she was new today and was very quiet,didn't eat a lot, always had a smile on her face and seem to get along with everyone. :) Actually this is a fall scarecrow that you put in your yard or garden and I got her last week and got a wild thought to put one of my Stampin UP aprons on her and put her by the steps by the front door so the girls could see her when they arrived however it was misty this morning and I did not want my apron to get wet. Sorry Sally! Below are our shopbox swap cards/3d items! You may wonder what is the world is a shoebox swap......... well none of us used a shoebox however the idea is everyone makes a card for a sample and then the cut and place all the materials to make that card in a container of some sort ie shoebox, basket or whatever you happen to have to keep it together. Then we each make all the cards/3d projects. I loved all the ideas and will be using them in my upcoming classes and workshops. If you see something you like be sure to contact me and I can get you and your friends on my calendar. I used the new shaker frames from the Holiday Mini Catalog and the Mica flakes to fill it. So cute. If you would like to join my team, I would love to have you. Today we meet and we shared business tips and we had door prizes as well as awards for most in sales for the last 2 months. We shared a cover dish lunch and made cards and containers. We really had a great time. We agreed that it was fun to get new ideas and use new products so we could share with our customers. Contact me today to join my team! Would you like a free BIG SHOT? Ya'll (yes I am from the south) know how much I love my big shot and I use it every week (actually I use it almost every time I make a card). I am offering a FREE BIG SHOT special for on line orders from Oct 1st through Nov 30th . I will draw a name on Dec 1st and will send it directly to you. During Oct and Nov for those that order on my website in the amount of $50 or more (before shipping and tax), you will get your name in the hat for a drawing to receive a FREE BIG SHOT! What a fun Christmas present this would be for you or a family member or friend. Your order has to be a minimum of $50 and for every $50 you spend your name goes in the hat. When I get $500 in on line orders by Dec 1st I will draw a lucky winner. If you refer a friend to my site and the friend makes a $50.00 qualifying on line purchase, then the FRIEND AND YOU are entered….actually you will get your name entered twice for the referral. 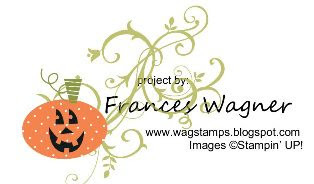 So are you on the www.franceswagner.stampinup.net website yet? A: No, you need to place a minimum $50.00 order to qualify for the drawing. However, if during the promotional period, you place multiple orders that add up to a minimum order requirement, I’ll then add your name to the drawing. A: No, you will need to place the order through my website and club or class orders do not count for this special. Q: What if my order comes just under say 48.50 before shipping and tax can that count. A: No it has to be at least $50 before shipping and tax no exceptions. Then start your order, if you have any questions please don’t hesitate to call or email me for any questions you may have. It is Sunday night and here is my challenge with Terri Tank from Texas. It would not be fall without Candy Corn. This was a fun card to make and I will be using this as one of my Big Shot projects this Tues night at my Big Shot class so make sure you sign up if you haven't yet. I love it because it is quick and easy. 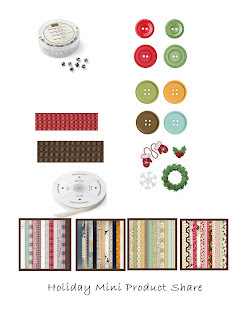 Holiday Mini Share- I want it all!!! PLUS 10 1"x8" cellophane bags for treats. When I get your reservation email I will send you my mailing address, then drop a check in the mail so I will have it before the 20th. I will let you know when I receive 4 to share it with. You may remember Terri Tank (who is a demonstrator that lives in Texas) and I have been having a weekly challenge, but last week I let her down. The challenge was to use 1/2 of the Easy Events set on page 57, she was suppose to make cards with the top half and I was suppose to make cards with the bottom half. Well my stazon ink was getting dry and I had to order a reinker (that is the great part about purchasing ink from Stampin UP we have refills and you do not have to re-buy the ink pad again.) I was using the basic black and when I started coloring in with markers it started smearing so I really needed the stazon black ink. Terri waited patiently for me to get my refill and to get my part done for the challenge. 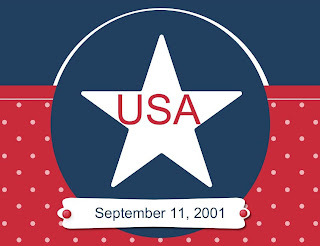 Where were you on 9/11/01? We had just moved to Raleigh, NC a couple of months before after a cross country move back from Victorville, CA. We lived in an apartment and I did not have a regular job yet so I was on the internet checking out a yahoo group site and all of a sudden people started chatting to turn your tv on and no one could believe the horrible things that were happening. 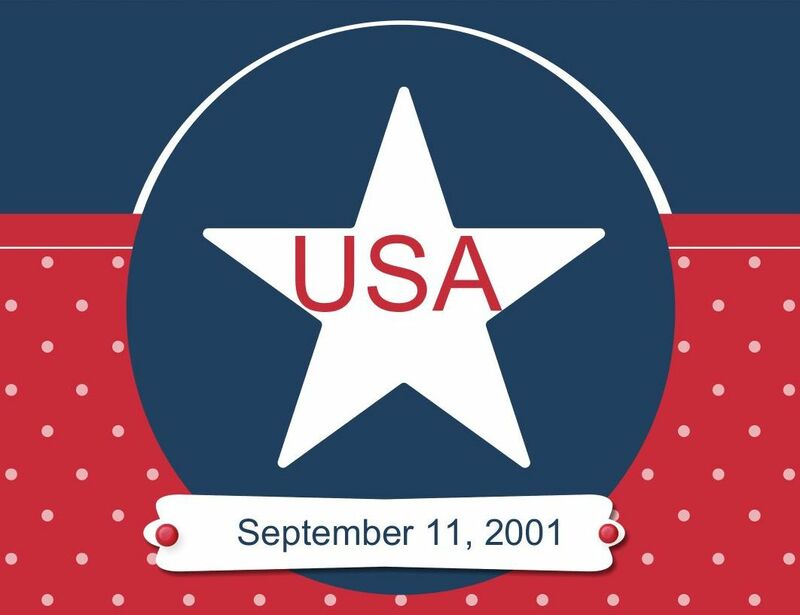 A few minutes later my husband called me to tell me to turn on the tv and we were so shocked and scared and worried for the people in New York and DC and PA.
Well today it has been 10 years and I made this digital card with My Digital Studio from Stampin UP in remembrance of that day. We can never forget! God Bless America! My new obsession is making lollies from designer paper or just about anything I can find. Introducing Stampin' Up! 's original scoring tool–designed exclusively by and for Stampin' Up! With etched grooves every 1/8", and the ability to score card stock up to 12" x 12", the Simply Scored scoring tool helps you create perfectly measured score marks. It's great for creating multiple projects or projects with a variety of score marks! • Comes with a high-quality stylus instead of a plastic bone folder. o Stylus is ergonomically shaped and features a comfort grip. o The high-quality metal tips on each end of the stylus–they come in two sizes–glide smoothly over your paper. • Features a unique set of place markers that let you mark your score lines when creating multiple projects with the same score lines. o Includes three place markers. o Additional place markers can be purchased for flawless scoring. • Includes a hidden storage compartment in the back of the base to hold your scoring tools. 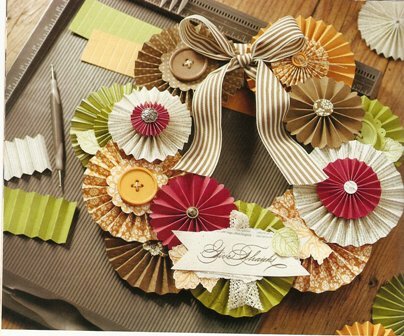 • Accommodates card stock up to 12" x 12". • Dimensions of scoring board: 15-1/8" x 13-1/4" x 1"
Thanks for stopping by! Contact me to more information on making lollies! Stamp Club today, what a great time and Christy one of my team members did a great job in her demonstration. Great cards. I will take pictures later and share with you. My friend and stamping buddy Shirley offered to let me pick grapes today! 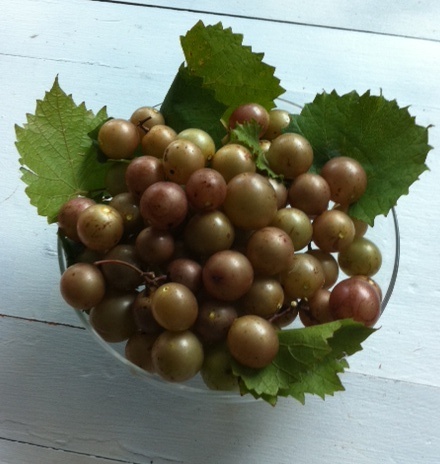 Wow I love scuppernong grapes right off the vine. Aren't they beautiful? 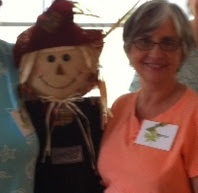 Our stamp camp was scheduled the same time that Irene decided to visit a week and a half ago, so this past Saturday we met and created and had a great time. The girls loved the projects and I enjoyed sharing with them. 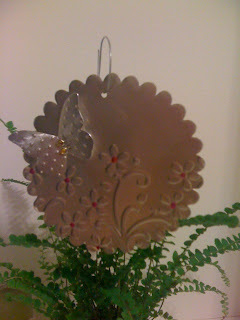 The first project you have seen recently on my blog. I went to a NCSUDEMO meeting in Taylorsville and we made these I knew I had to share with my stamping friends. This was so easy with the Big Shot scallop die and butterfly die, we used aluminum flashing for roofing for this project. Can't you see the large snowflake done to line your sidewalk in the winter? The ideas just keep spilling over once you get those creative juices flowing. This is a fun several layers fall card. 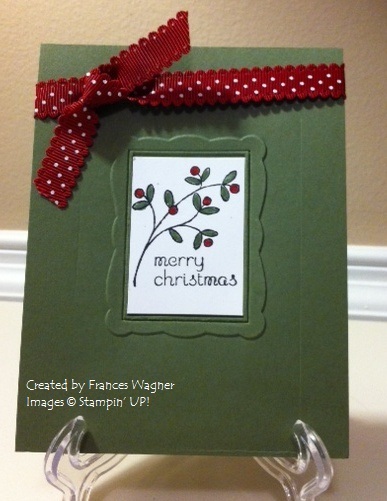 We used the Gently Falling stamp set from the Holiday Mini Catalog. 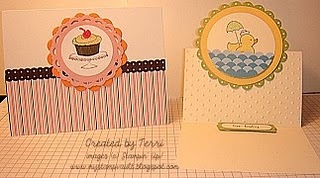 123804 and this so cute designer paper Spice Cake 124003 both on page 16-17. 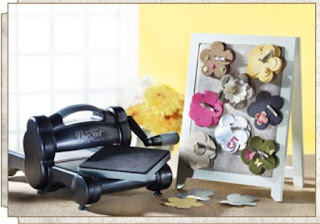 I love the new ruffled ribbon in the Idea Book and Catalog Check it out and see how cute it is for yourself. Below are the rest of the projects together. We covered a composition book to make cute journals with a darling closure. 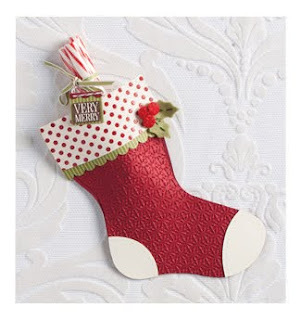 We made 3 other cards one of my favorites is made with the central attraction those darn cute LOLLY'S made with the new Simply Scored Scoring Tool #122343, of course the Stitched Stocking set with the Stocking Builder Punch was a hit too. View that set and punch on page 34 of the new Holiday Mini. For good measure I threw in a non holiday card using stamp set My Friend 12258, the one with the big hello. 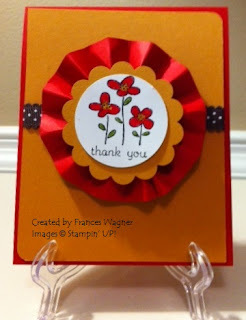 When I offer stamp camps I always try to mix cards with 3-d items so my stampin friends will know they can do more with their stamps than make cards and usually it will be some sort of gift they can make for their friends and family. Thanks for stopping by and be sure to sign up for my next stamp camp and let the fun begin. 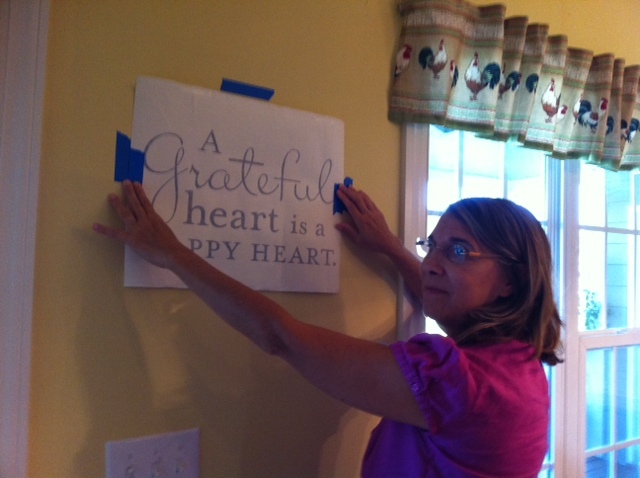 Recently Lisa called me for help with her Decor Elements order she placed sometime ago. I had never met Lisa (she had ordered from one of my customer's party that she could not make) but was glad to help her with her order and get it corrected with Stampin UP. 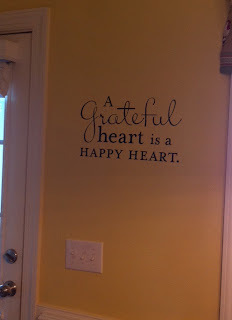 When her order came in I took it to her house and we had a good time putting it on her wall. Check out the Stampin UP catalog starting on page 227 to see if there is something that appeals to you. I will be glad to help you install it. This is a picture of Lisa measuring the vinyl. 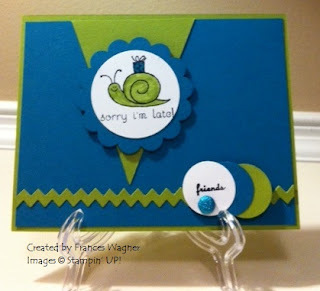 I have to say here, one of the best things about being a Stampin UP demonstrator is the friends I meet while haveing a great time teaching them to create and to find their creative side. Voila! What do you think? 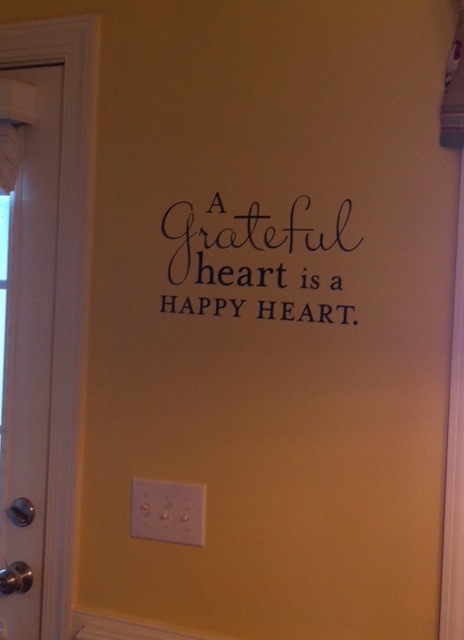 Don't you love it on her kitchen wall. Thank you Lisa for letting me share what I love with you. 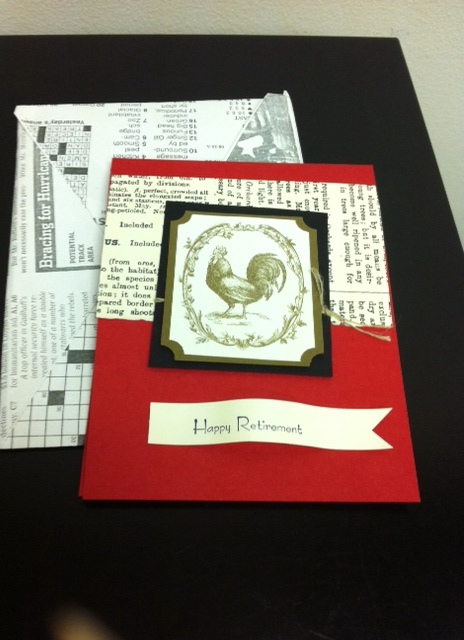 Retirement at work: one of our co-workers (Butch)retired last week and of course I made him a card (I work for the Dept of Agriculture in my day job). Since we make chicken farm loans I had to make Butch a card with a chicken on it. I did not have a chicken stamp so I used the Beau Chateau Designer paper #122357 Page 184 that had chickens on it. I did not think he would go for the pink background with the chickenwire, so I cut out the chicken and layered with red and black (he went to state so I knew he would love those colors) He looks at the Wall Street Journal every day so I made him an envelope from that. Sort of fit him. Now for the fun part, Butch has a farm and we are always teasing him about burying his money in a coffee can for his savings. So I got an empty coffee can and made this cute tag for it. He loved it. Last but not least another co-worker Susan made this yummy cute cake for him. 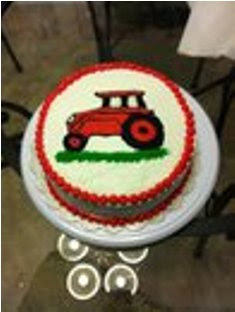 I think she did a terrific job on the tractor. I will be placing an order on Saturday if you want to add to it let me know by Saturday.